Where the Grass is Greener...: Here's to A Letter Day! I love creating special orders for buyers. It feels so good knowing that you are creating something that someone actually requested! 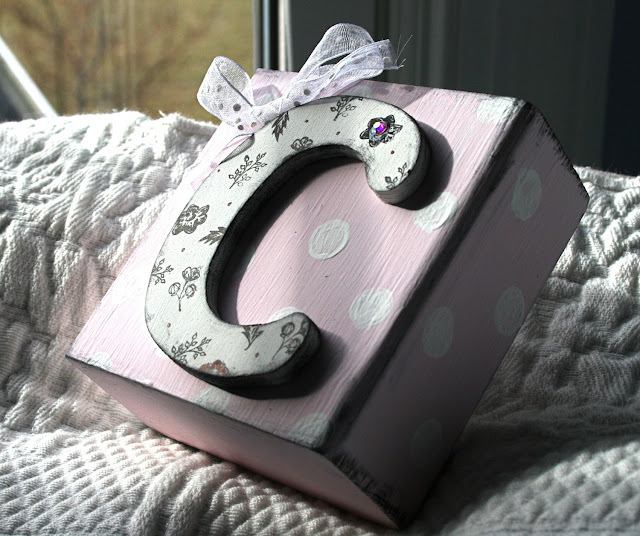 Recently, one of my "regular" customers asked me to create a letter C intial block for a friend's baby. She wanted something like this one above, except in coral and creme...such a pretty color combo. She is one of my best customers and I've created initial blocks for her friends and her children, too (see below). I love these!!! So fun!!! These would make such a cute shower gift!